PATAGONIA IS ONE OF THE MOST STUNNING AND MOST SPARSELY POPULATED REGIONS ON THE PLANET. SITUATED AT THE SOUTHERN END OF SOUTH AMERICA AND DIVIDED BETWEEN CHILE AND ARGENTINA, IT IS FAMOUS FOR ITS MOUNTAINS, GLACIERS AND ICE CAPS. THE THIRD LARGEST FRESH WATER RESERVE, THE PERITO MORENO GLACIER, IS LOCATED IN ARGENTINE PATAGONIA. Due to its rare beauty, Patagonia is one of the major tourist destinations in South America. Through a series of varied day walks you will see dramatic rock spires, massive glaciers, dazzling icebergs, turquoise lakes and snow-capped summits and share terrain with grazing Guanacos, Nandus, soaring Condors, Cormorants, Sea-lions, Black-necked Swans, Lenga forest, and the indigenous Calafate bush. It accesses a range of 360° viewpoints within several national parks, famous Patagonian valleys, steppes and vast lake areas. The trip starts in the city of El Calafate, Argentina and continues across the Chilean border to the Torres del Paine National Park. 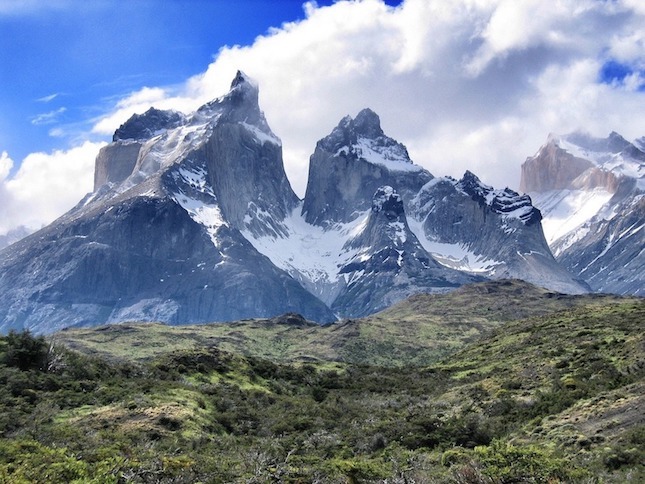 The Las Torres trail leading to impressive Paine Formation Towers, turquoise waters of Lake Pehoe and Lake Argentino are among the many gems tourists get to enjoy along the way. The final touch to this incredible journey is transfer to Buenos Aires for the famous Argentine tango and delicious cuisine. Trek in the dramatic landscapes of Patagonian wilderness. Climb soaring mountains and bright blue icebergs, cleaving from glaciers. Hike in the golden pampas sheltering rare local wildlife such as llama-like guanacos. Stay in the cozy mountain Eco camps, geodesic domes and rural huts. Meet English-speaking local guides with astounding knowledge of the area and genuine passion for nature. Complete Patagonia - Paine & Fitz Roy is a relatively low altitude trip mostly consisting of elevations up to 1000 m (3280 ft). With local expert guides leading the way, visitors can indeed enjoy the beauty of the place. However, a general good fitness level is recommended, since hiking may take up to several hours a day on moderate to lightly steep slopes. In addition, vehicle support is limited within national parks, as well as in remote areas. Mountain terrain can be slightly different in various parts of the trail, so appropriate gear is required. Days 1-2: Transfer from the UK to El Calafate, near the edge of the Southern Patagonian Ice Field, Argentina. 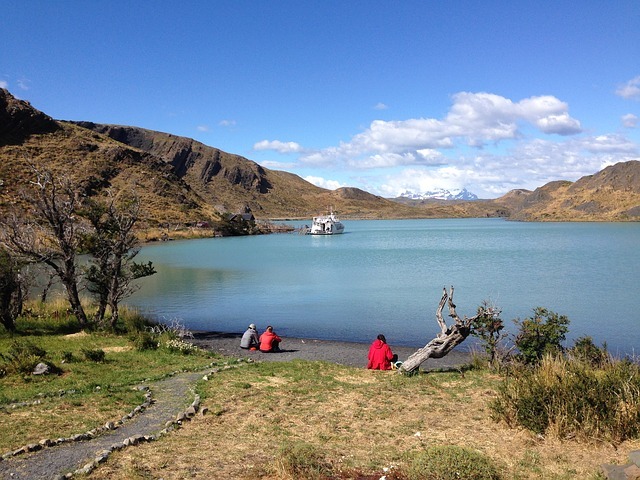 Day 3: Enter Chile and reach Torres del Paine National Park. Days 4-5: Reach Las Torres Lookout formations and hike along Nordenskjold Trail on the shores of Lake Pehoe. Day 6: Commence from Lake Pehoe via one of the trails along French Valley. Day 7: Drive back to El Calafate and stay overnight. Day 8: Travel to Perito Moreno glacier and trek around the shores of the Argentino Lake. Drive to El Chalten. Days 9-11: Visit the Mirador Loma del Pliegue Tumbado point and camp at Fitz Roy Mountain Base Camp. Days 12-14: Transfer to El Calafate for the flight to Buenos Aires, followed by a flight home.